Blunder Chess Puzzle: How did Black Win? In a typical chess position of the Sicilian, Black played Ng4. 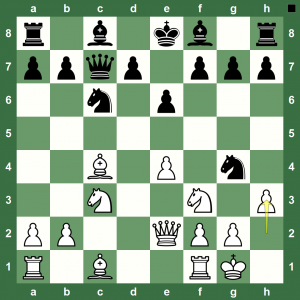 White, not fearing much, played h3 which, in fact was a blunder! How does Black win now?